Mother’s Day weekend was hot and very, very sunny. Fresh out of sunscreen from our March trip to Las Vegas, I asked J if he had any I could use. He tossed me a blue bottle of a brand I’d never before heard of called Kinesys. Normally I’ll only use bunny-friendly products, but desperate times called for desperate measures and so I sprayed on the mango-scented magnificence and headed outside. That evening, in an effort of diligence, I scoped out Kinesys’ website. And what to my wondering eyes should appear but a cruelty-free promise and a bunny with floppy ears! Kinesys has developed an entire line of family-friendly and athletic performance sunscreens and sun treatment products. Protecting your skin from highly-damaging UVA and UVB rays is an absolute must, and Kinesys’ range makes it easy for everyone to find the sunscreen that’s right for them. So how does all of this lead to the case of Kinesys found on my doorstep? Upon learning all of this delightful information about the company, I sent Kinesys an e-mail to thank them for all of their environmentally and animal-conscious efforts. A back-and-forth series of e-mails led Kinesys to find out that I was participating in this year’s BC SPCA Paws For A Cause campaign. 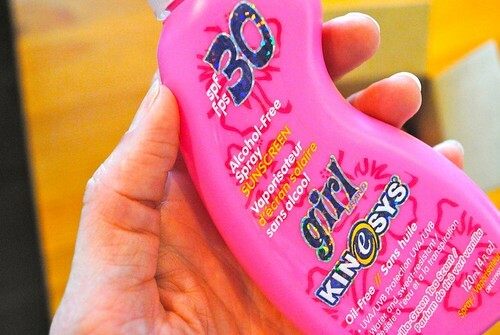 The next six donors to contribute a minimum of $30 to my BC SPCA Paws For A Cause campaign will find a bottle of Kinesys’ SPF 30 girls’ sunscreen in their mailbox! 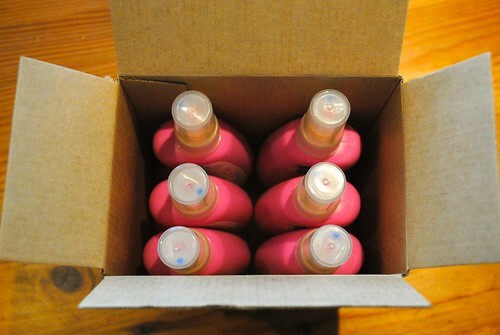 Don’t let the bright pink bottle and sparkles deter you – this stuff smells amazing. In fact, I’d say it’s not unlike vanilla frosting. All you need to do to nab a bottle is be one of the next six people to head on over to my Personal Donation Page and make your contribution. To learn more about Kinesys, visit them online. You can find Kinesys across Vancouver Island at London Drugs locations in Campbell River, Colwood, Courtenay, Nanaimo and Victoria or at Costco in Langford and Nanaimo. Until June 1st, enter to win passes to the screening of Shellshocked with a wine and raw bar reception at the Stan Hagen Theatre in the Comox Valley as part of the BC Shellfish Festival. Enter here. Thanks for this info – I’ve changed over all my personal care products to vegan, cruelty-free and chemical-free, but sunscreen I’ve had trouble with. I hadn’t heard of this brand, so once my current bottle is empty, I’ll be picking up some of this! That’s our favourite sunscreen! It smells SO good and is the only one from which my older daughter does not develop a rash. Plus sparkles, how can you go wrong?